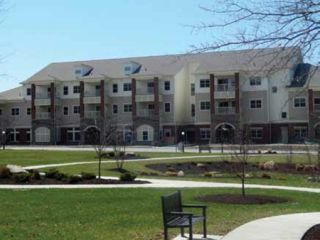 The Passavant Retirement Community in Zelienople, PA, had a comprehensive sound system installed, complete with anywhere-to-anywhere source routing and intuitive local control, all supported by Symetrix processing. ZELIENOPLE, PA—Passavant Retirement Community in Zelienople, PA is a mixed-housing establishment that brings together residents of varied abilities with support structures to make retirement fulfilling and joyful. To better serve its residents, Passavant recently completed the new Abundant Life Center. This new building includes a chapel, fitness center (complete with pool, aerobics, and fitness rooms), restaurant, conference center, media center, and an indoor Main Street with facades and shops, as well as 20 independent living apartments, 34 personal care apartments, and 102 nursing beds. The pro AV arm of integration firm ASCC, based just north of Pittsburgh, PA, designed and installed a comprehensive sound system for the new facility, which allows anywhere-to-anywhere source routing and intuitive local control using a Symetrix Radius 12x8 Dante network audio DSP, expandable Symetrix xIn 12 and xOut 12 I/Os, two Symetrix Solus 8 fixed I/O audio processors, and a collection of Symetrix ARC remote control wall panels. The Symetrix Radius 12x8 DSP resides at the heart of the system, and an xIn 12 and an xOut 12 connect to it via Dante, bringing the main system I/O count to 24 by 20. In addition, a Symetrix Solus 8 resides in both the chapel and in the conference center, and although those systems usually operate autonomously, Coey and Hesske designed the system so that users could still tap or send signals to or from anywhere else in the system via analog feeds and interactive preset changes. Seven Symetrix ARC-2e wall mounted remote controls, spread across the zones, permit easy source selection, volume adjustment, and preset changes. Inputs to the system include seven Tascam CD-200i CD players with integrated iPod dock, a Tascam TU-690 AM/FM radio, an Antex XM-100 Satellite radio, three Audix ADX- 12 gooseneck paging mics, 15 Sennheiser EW-Series wireless microphones, three Sennheiser SKM-Series wireless microphones, four Galaxy Audio HSE-UBG-SENN headworn microphones, and a PreSonus StudioLive 16.0.2 Digital Mixer. Eleven QSC ISA-, CX-, and RMX-Series amplifiers power a large collection of QSC AD-series surface-mounted loudspeakers and Quam System ACT-Series lay-in loudspeakers, as well as a handful of EV ZX 1-SUB subwoofers and SoundTube RS400i pendant loudspeakers. Furman sequencers condition the system, and Listen Technologies provides assisted listening.